The above candidates are requested to report to the College of Technology upon proclamation of this communique for registration formalities. They should bring along with them the original copies of their certificates, their birth certificate and an official identity card. 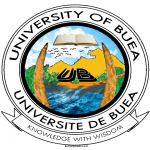 Results of COT Buea 2016-2017 First year College of Technology of the University of Buea.